It's been said, "If you haven't ridden an aluminium bike lately, you haven't ridden an aluminium bike." The Chisel justifies this quote not only for the premium aluminium the frame was constructed with but the D'Aluisio Smartweld technology that went into the welding of the frame allowing greater compliance, whilst remaining lightweight and stiff. The Chisel Comp comes kitted out with Shimano's 1x11 SLX groupset that provides slick one-by performance that doesn't break the bank. The RockShox Judy Gold fork features a Solo Air™ spring that maintains fantastic suspension whilst keeping the weight to a minimum. To finish with, last years XC geometry has now been revised with trail aspects which allow for greater stability down the hills and round the bends. Given its lightweight and ultra-stiff characteristics, M5 aluminium was the natural choice for the frame's construction. 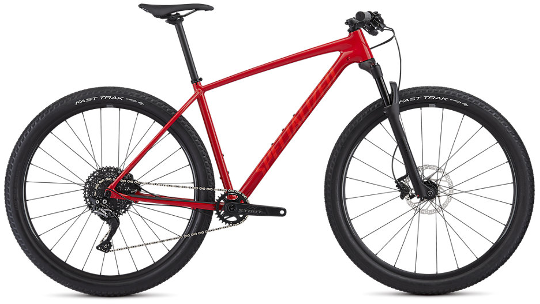 And when complemented with Specialized's speed-focused XC 29 Geometry, D'Aluisio Smartweld technology, and internal cable routing, you get a bike that compromises nothing in delivering explosive speed, confident handling, and hassle-free maintenance. Rocks and bumps are soaked up via the RockShox Judy Gold fork with 90/100 millimetres of travel (size-specific). 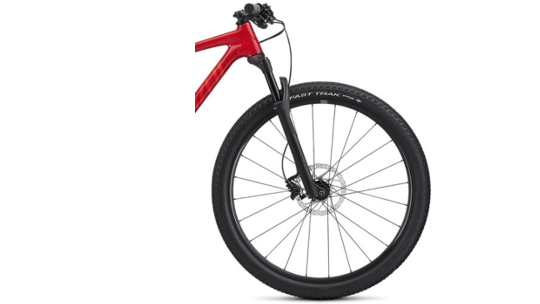 It features proprietary technology from RockShox, like its Solo Air™ spring, that maintains an ideal equilibrium, as well as being one of the lightest air springs on the market. The build on this Chisel features a Shimano SLX one-by setup for ease of use along with a wide range of gears. 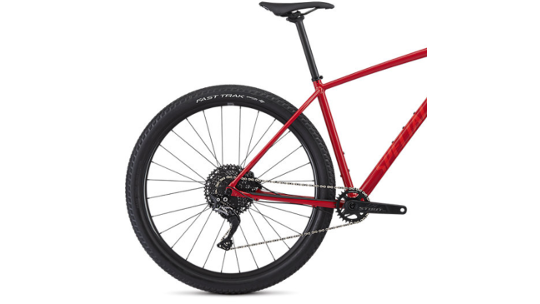 You'll also find powerful MT500 Deore hydraulic disc brakes, the renowned RockShox Judy fork with up to 100mm of travel (size-specific), and 25-millimetre-wide alloy wheels that are optimized for weight and traction. Front & Rear Tyre - Fast Trak, GRIPTON® compound, 60 TPI, 2Bliss Ready, 29x2.3"